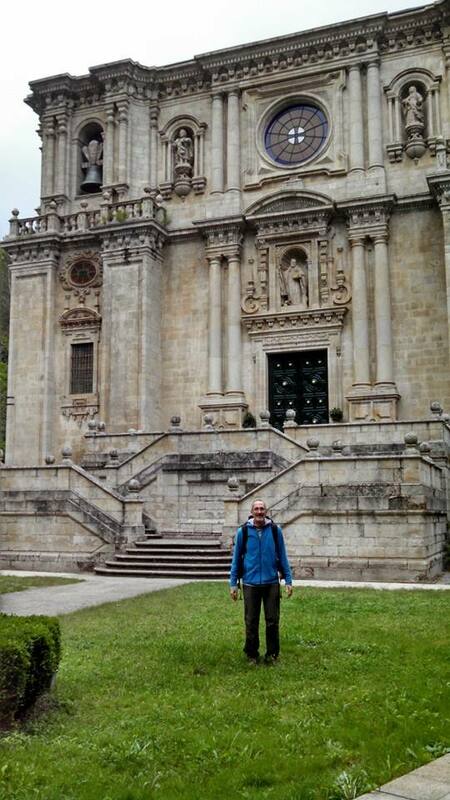 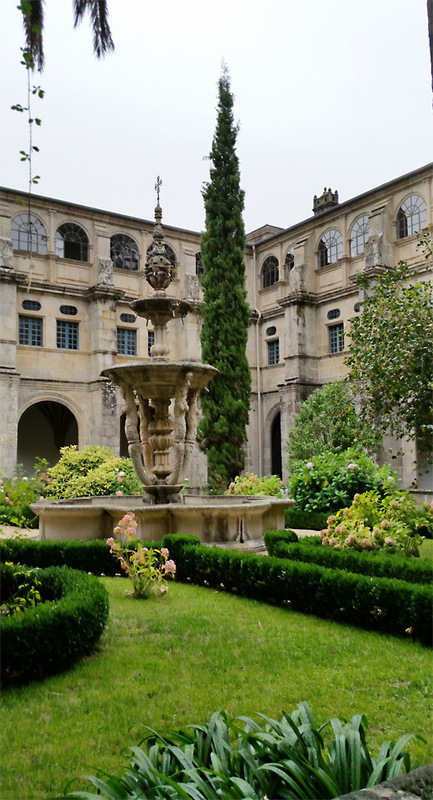 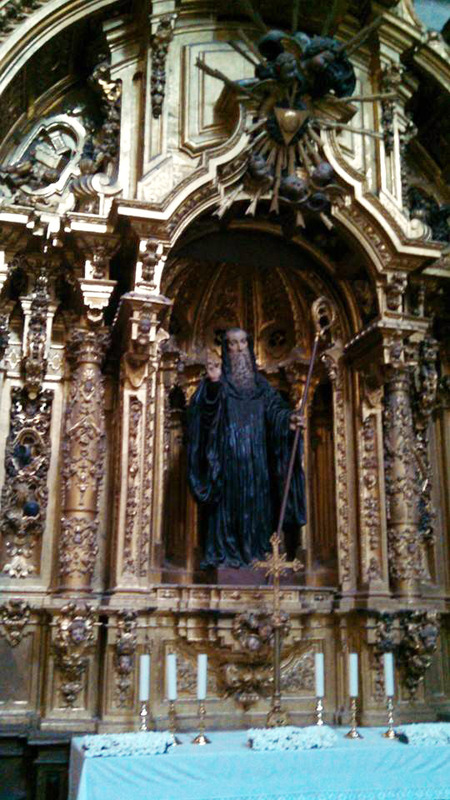 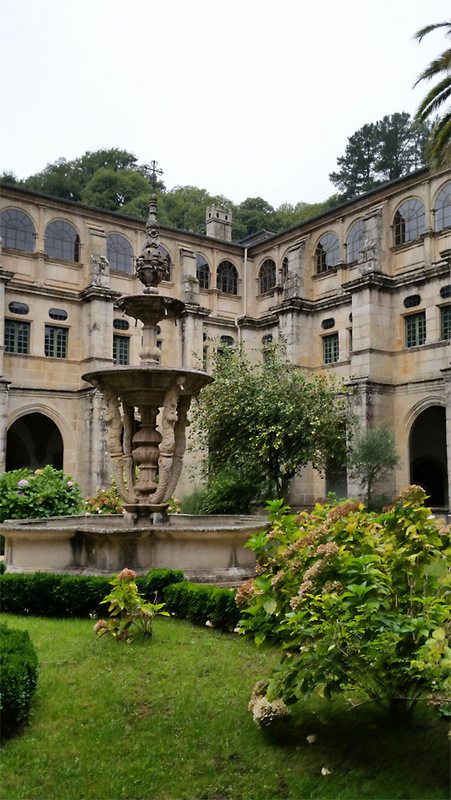 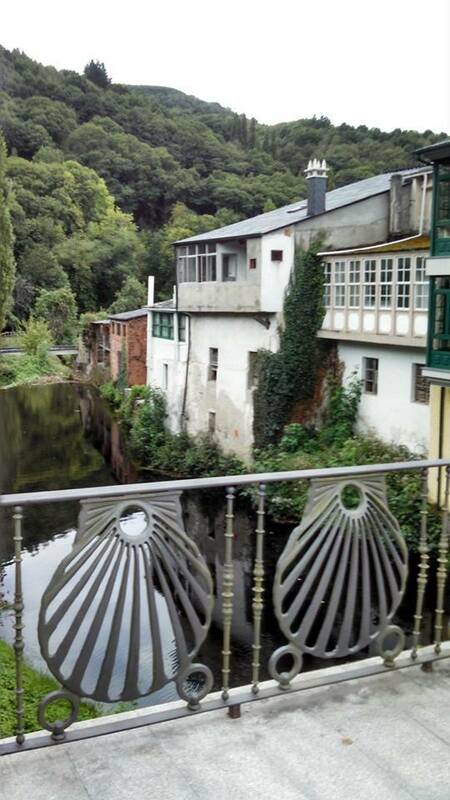 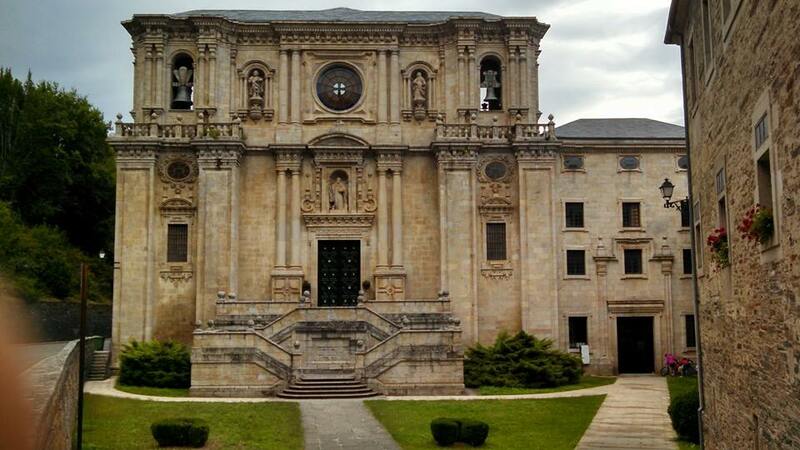 Samos, in Galicia, is home to a quaint city and a large, impressive Benedictine monastery. 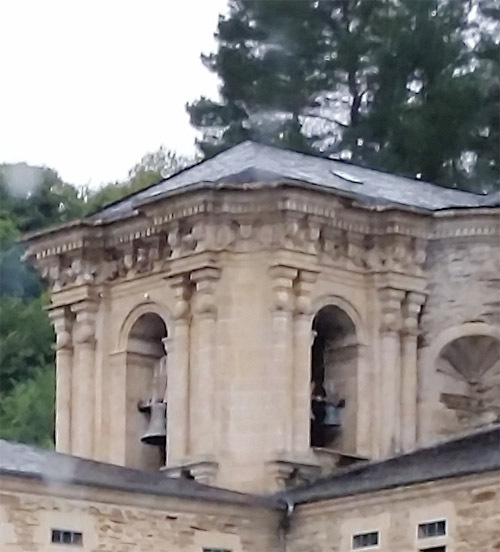 Fourteen monks are in residence there. 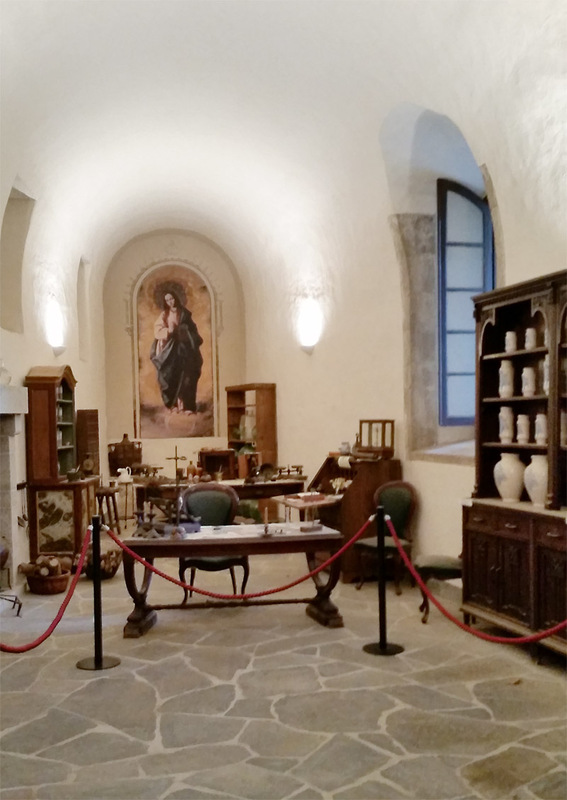 More information about the history of Samos is here at Wikipedia. 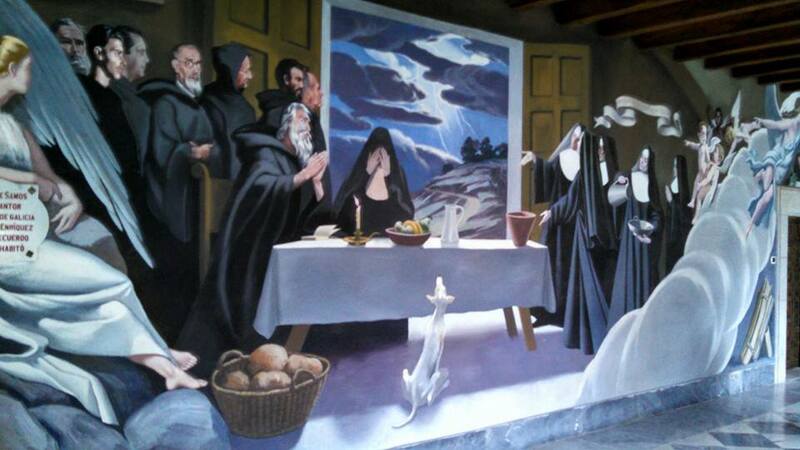 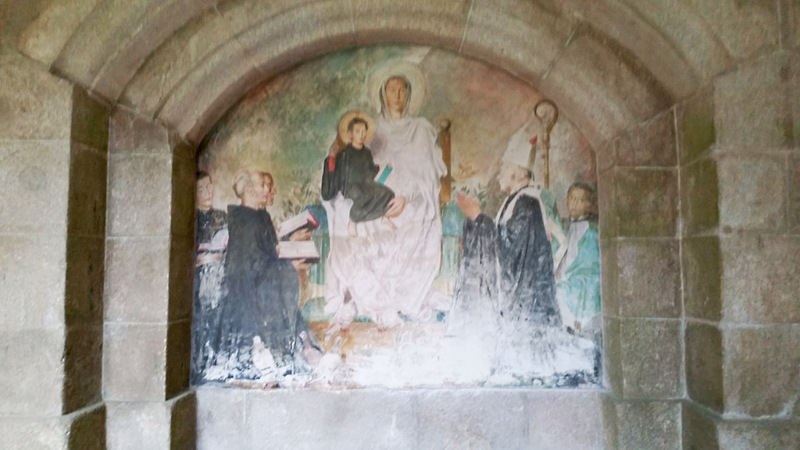 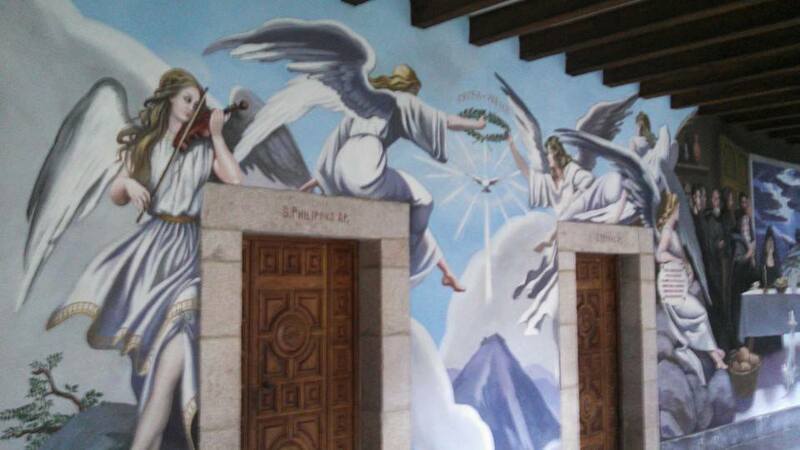 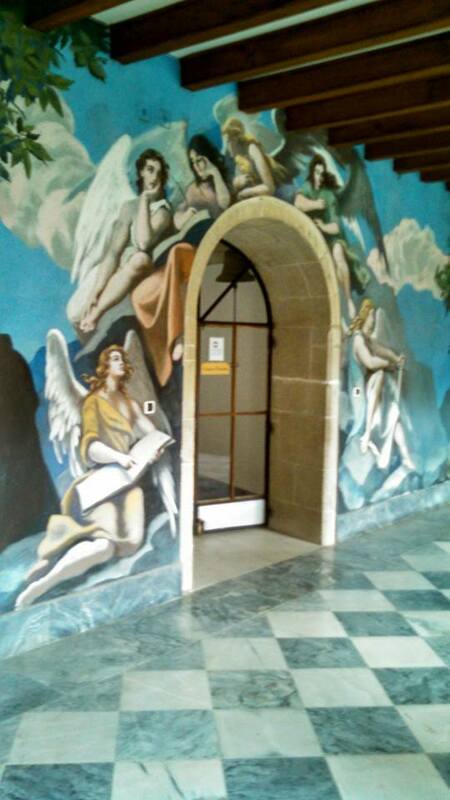 We took a tour of the monastery including the cloister, church and sacristy, and a hallway with murals depicting scenes from the life of St. Benedict. 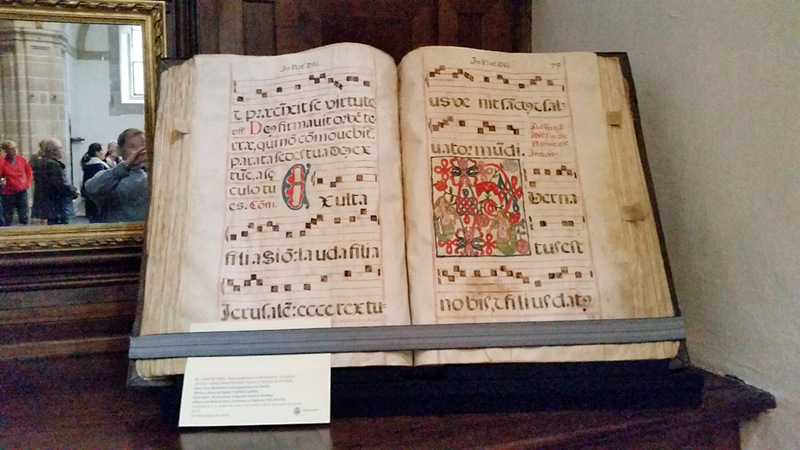 This was the highlight of the day. 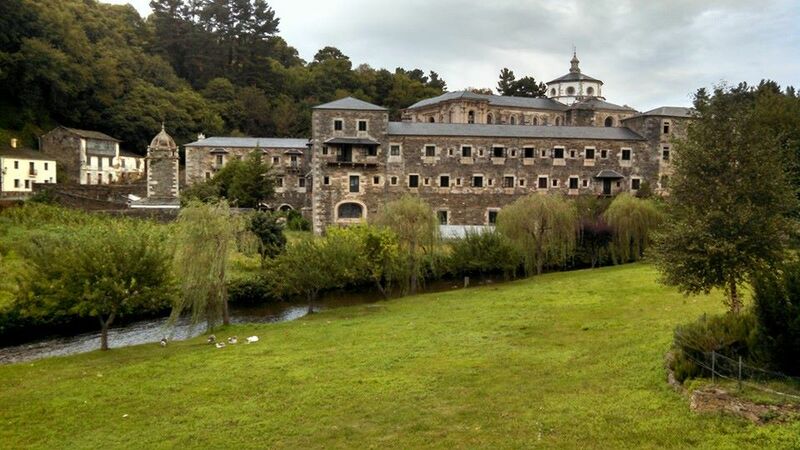 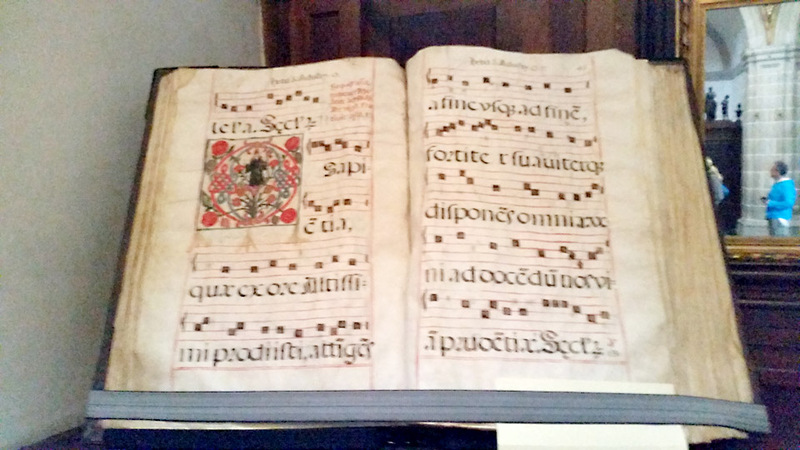 Enjoy this folio of pictures of the monastery. 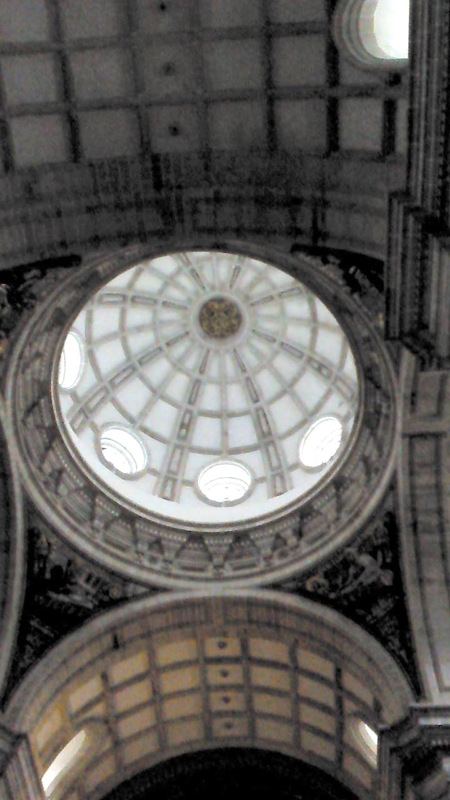 You can click the smaller pictures for larger versions. 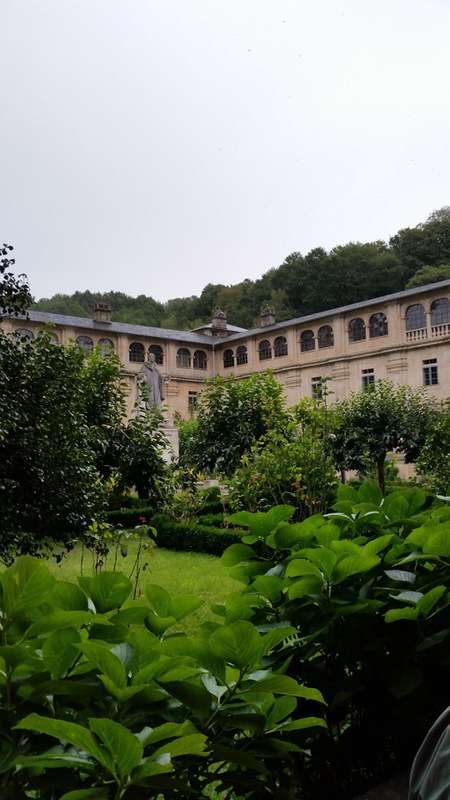 Here are exteriors, interiors, and some of the monastery’s treatures, including… musical mermaids. 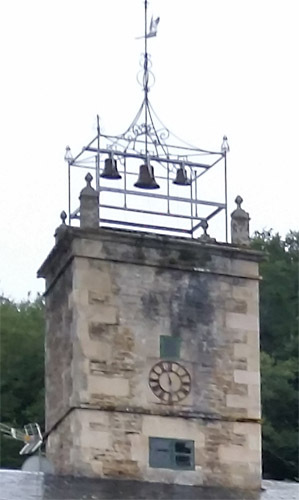 Closer view of the clock tower. 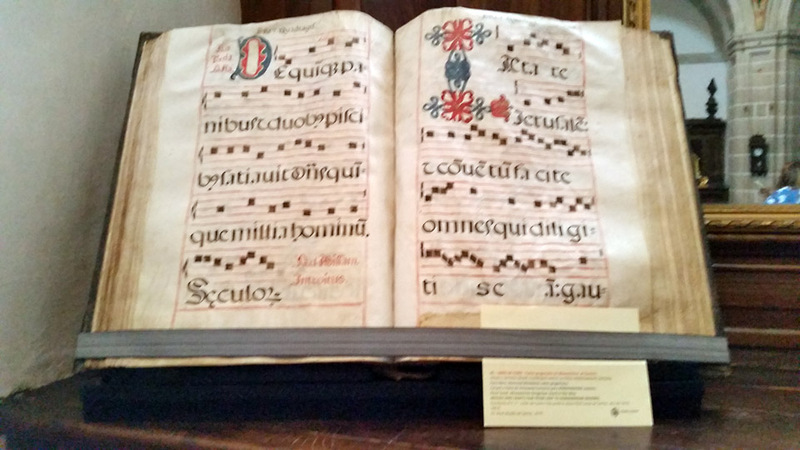 Detail of a manuscript page. 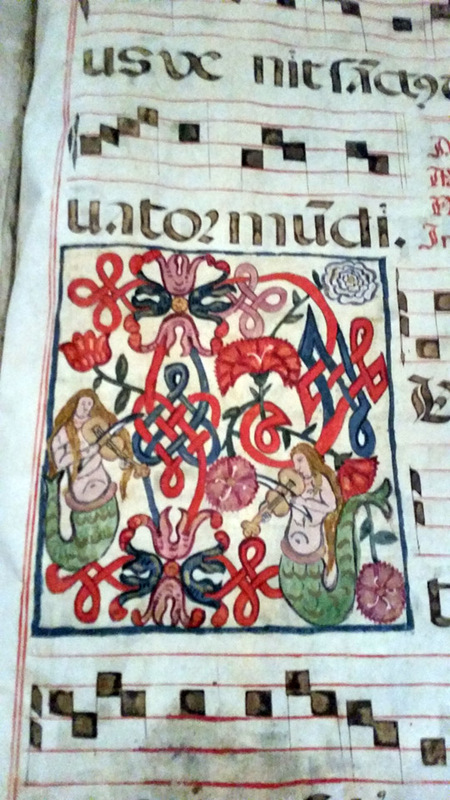 Knotwork, flowers, and mermaids, each with a viola da gamba or some violin-like instrument. 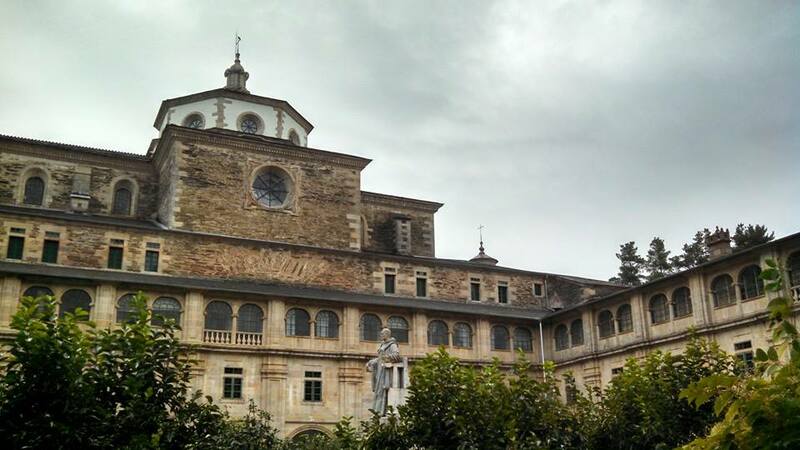 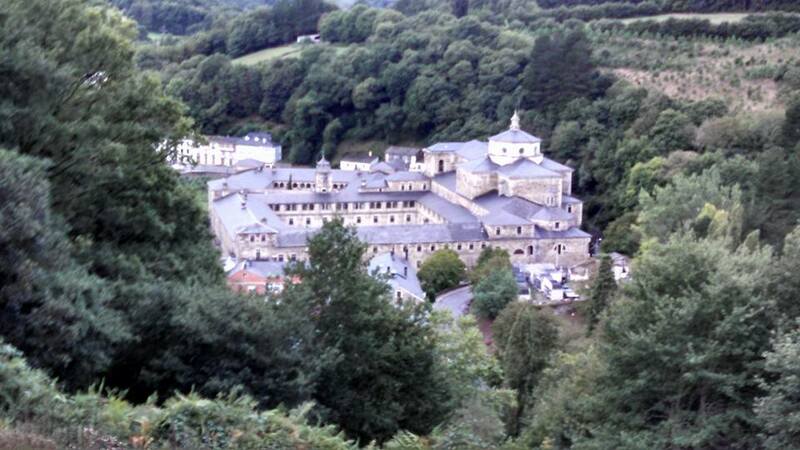 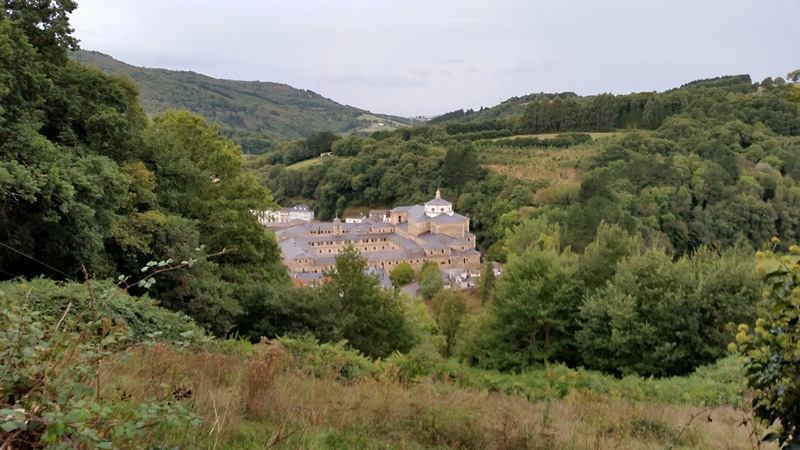 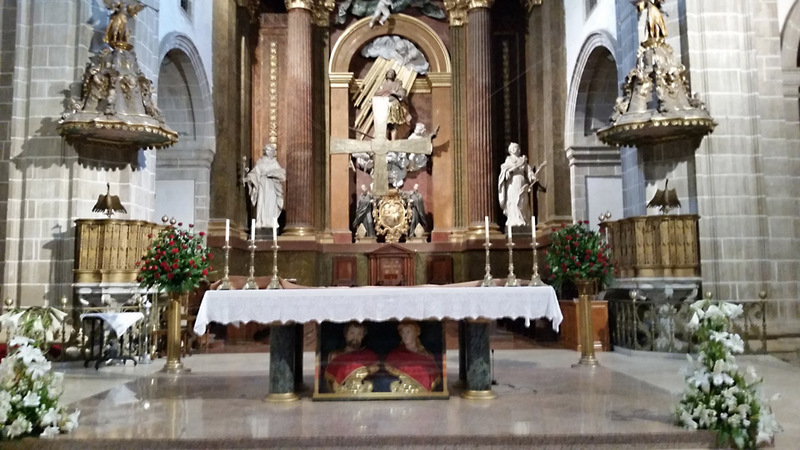 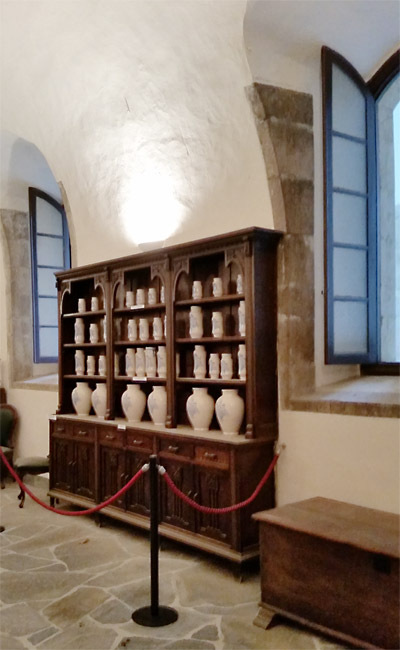 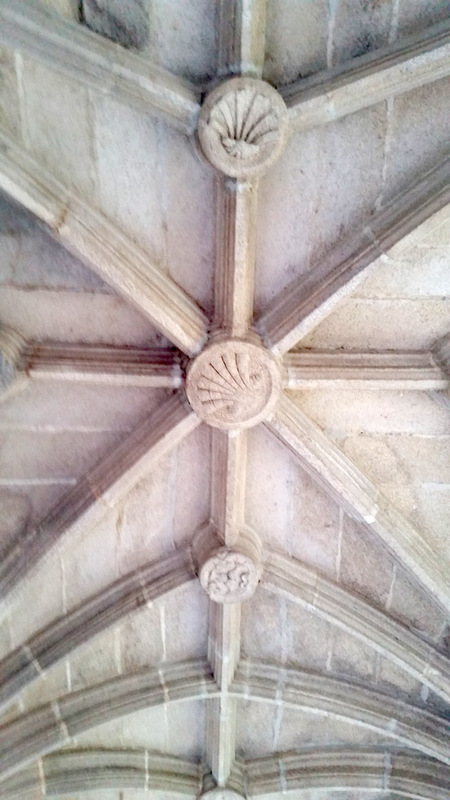 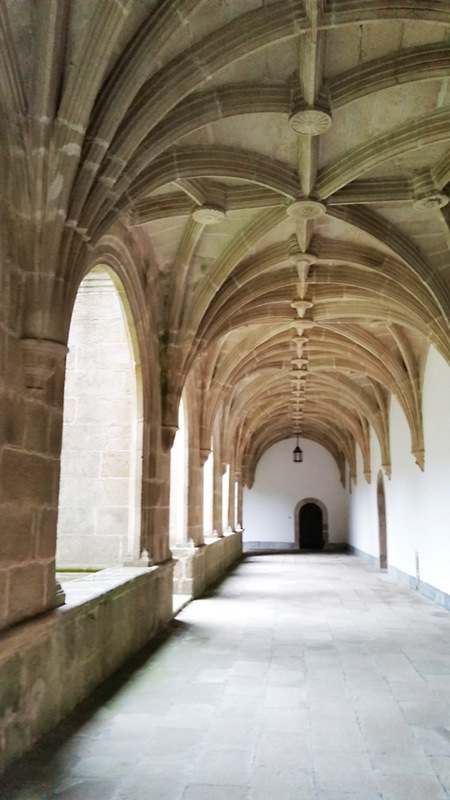 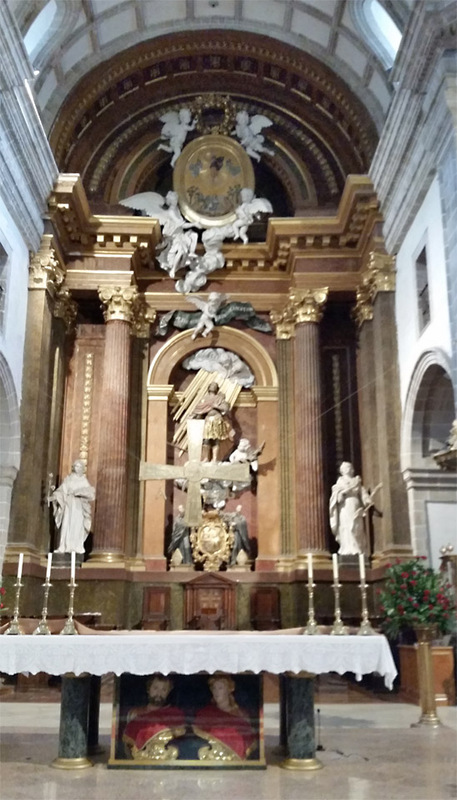 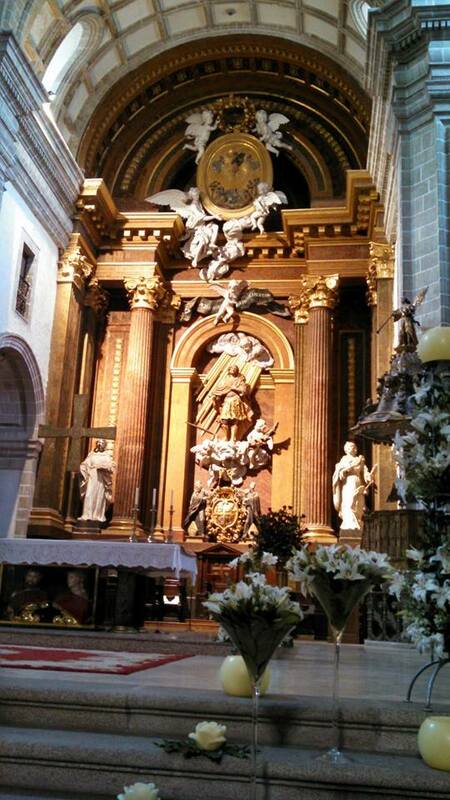 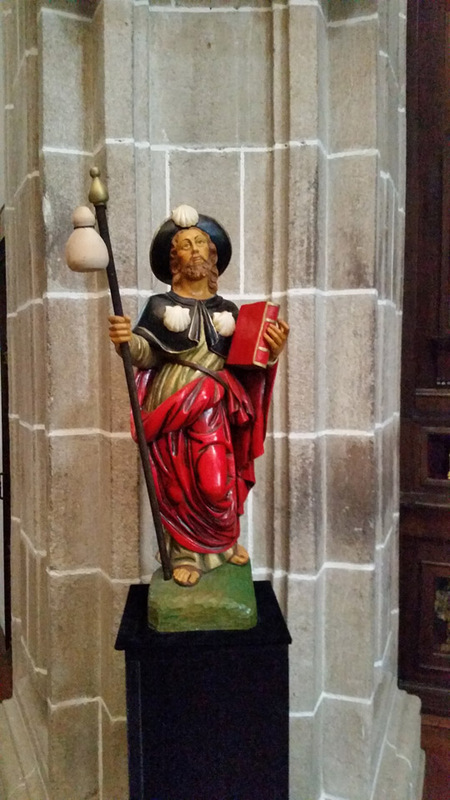 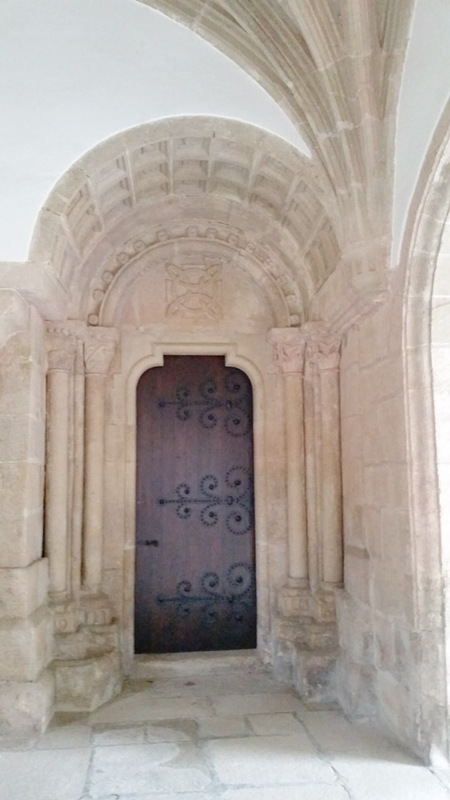 This entry was posted in Camino, Church Architecture, Pilgrimage and tagged Benedict, Camino, courtyard, Galicia, mermaids, Monastery, monks, neumes, Pilgrimage, Saint James, Samos, Santiago, Scholastica, Spain on September 18, 2014 by frjfkauffmann.